Home / HairCare / Tangle Angel. The Tangle Angel is your go to product to use for your hair care routine. The innovative design is visually beautiful whilst also being highly functional. The Tangle Angel can be held around the designer wings or the handle, giving you control to style your hair with ease. 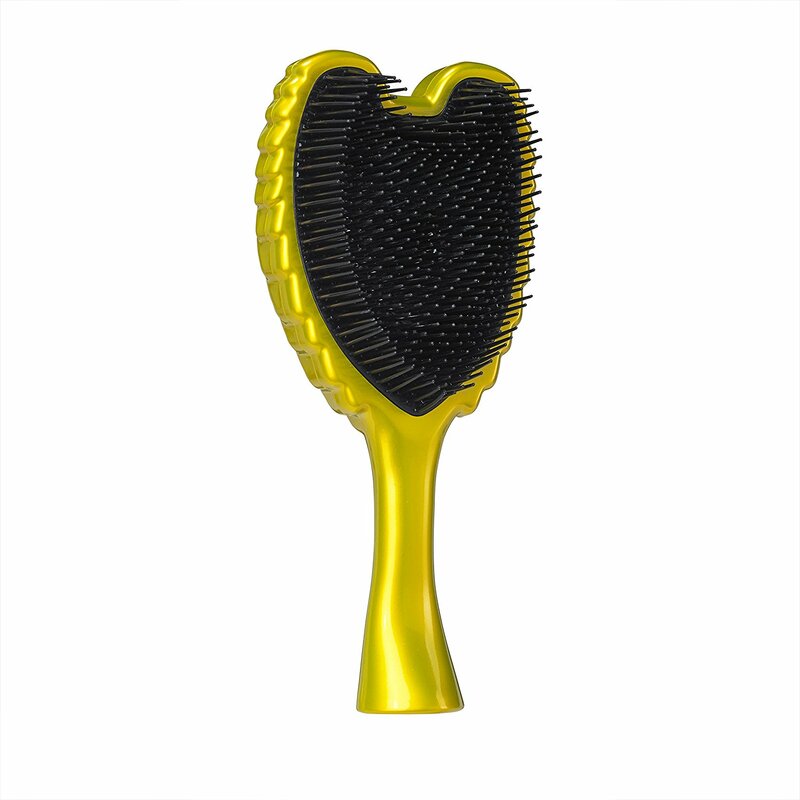 The Tangle Angel also offers 99.9% effective antibacterial protected bristles. thanks to the antibacterial additives embedded in the plastic to make your Tangle Angel hygienic and safe to use. The Biomaster technology is a silver based antibacterial additive and has been successfully tested in independent laboratories to prevent the growth of unwanted bacteria that can cause product degradation. discolouration and odours. 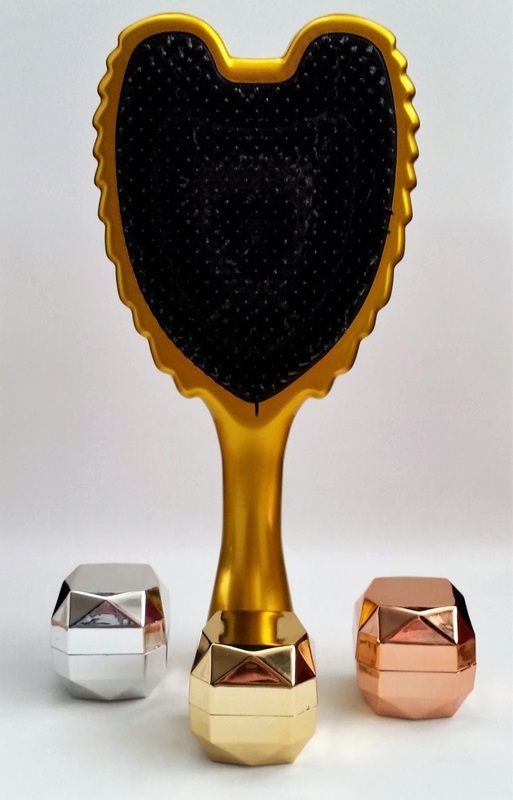 The Tangle Angel features a contoured base that helps to retain full bristle height, whilst also giving you no reduction in performance once hair is detangled. I really like how the brush gets close to your scalp thanks to its brilliant design and lightly massages your scalp whilst detangling every strand. 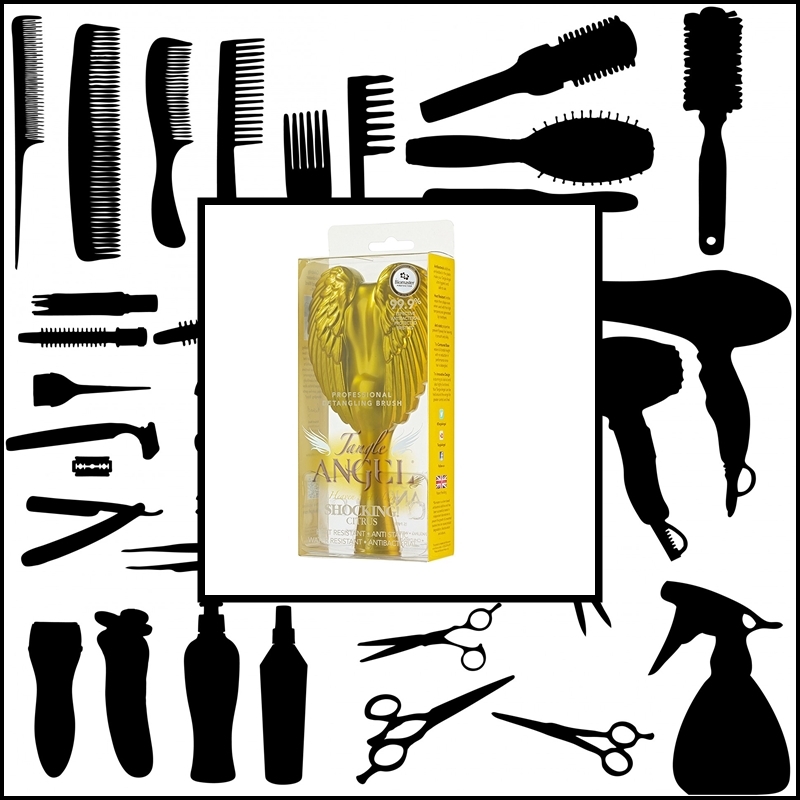 The Tangle Angel provides easy pain-free detangling whilst also being an excellent tool in styling. I usually find with tangle teezers they usually slip out of your hand, but the Tangle Angel provides a handle and well designed wings that provide a grip to stop any mishaps. The brush is great for short or long hair and glides through wet and dry hair with ease, great for styling hair when your in a rush. The Tangle Angel is available in a choice of colours and can be admired at anytime when standing this multifunctional brush up on its base. X Neil.